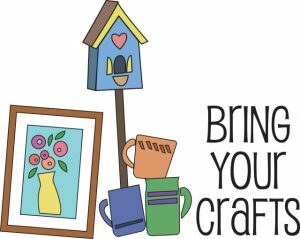 BRING YOUR CRAFTS & JOIN US! Come on out to the church for a fun day of crafting! Bring any crafts you wish to work on for the day! No sitter is provided, but children are welcome as long as parents are responsible for them. If you have questions, please speak with Dorothy B.